One of our favorite home remedies is Elderberry syrup. Researchers in Switzerland and Italy have discovered that the elderberry may have been cultivated by prehistoric man. There are also recipes for elderberry-based medications in the records dating as far back as Ancient Egypt where some Ancient Egyptians even had the tincture buried with them. Historians, however, generally trace the tradition of the elderberry’s healing power back to Hippocrates, the ancient Greek known as the “father of medicine,” who described this plant as his “medicine chest” for the wide variety of ailments it seemed to cure. Elderberries are particularly rich in flavonoids, especially anthocyanins which are responsible for their deep purple (almost black) coloring. These powerful antioxidants work to keep the immune system strong and resilient. The anthocyanins in elderberries boost the production of cytokines (proteins that act as messengers within the immune system) that means they enhance the body’s immune response. Cytokines can be both inflammatory or anti-inflammatory depending on what is needed and are released by immune cells either directly into the blood stream or locally into body tissue during an immune response. These tiny berries are also believed to contain an antiviral agent so potent they are thought to deactivate viruses making them unable to multiply. 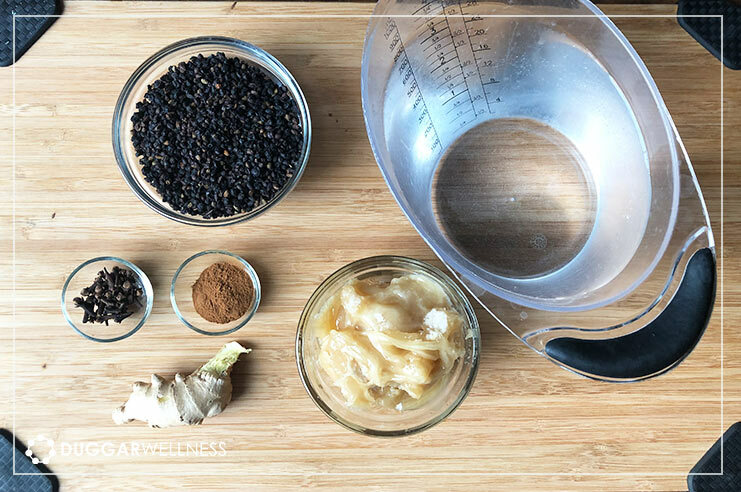 Elderberry Syrup has been shown to play a potent role in reducing the amount of time a cold/flu lasts. 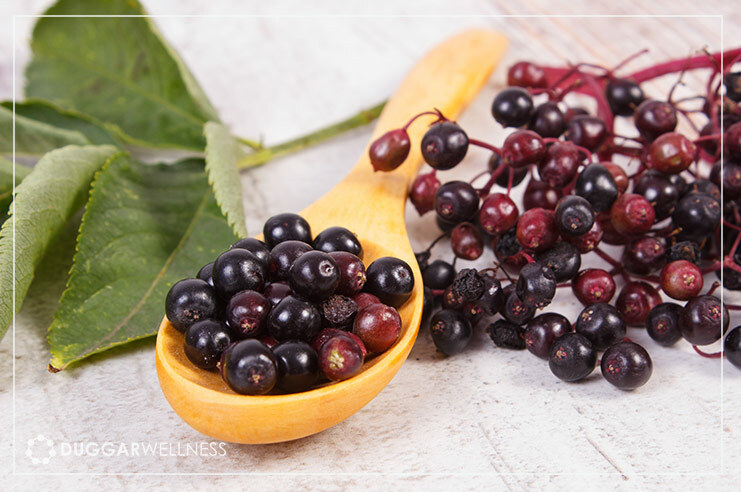 You can purchase Elderberry Syrup at any store that carries natural remedies and herbal supplements, like Whole Foods, Natural Grocers, your local health food store or online. Or you can make your own by following the recipe below. Place water into a medium sauce pan and add elderberries, ginger, cinnamon and cloves. Bring water to a boil. Cover reduce heat and simmer 45 minutes or until liquid has reduced by about half. Using a spoon mash the berries and then pour liquid through a fine mesh strainer into a glass jar. Discard the elderberries, cloves and ginger remains. Allow mixture to cool completely and then stir in the honey until it is all dissolved. Heating the honey will actually destroy the anti-microbial properties so make sure your syrup is cool. Daily Dose: to boost the immune system during “cold & flu season” or is others around you are sick. ½-1 tsp. for children and 1 Tbsp. for adults. Take this dose 3-4 times a week so that your body does not build a tolerance to the syrup making it less effective. Acute Dosing: should a cold or flu strike, take the normal dose every 2-3 hours instead of once daily until symptoms are gone. Our family likes to stir the dose into warm water and lemon for some elderberry tea.